In Faribault, Minnesota... yes, that's me! 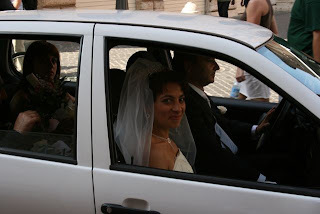 Now, a quick quiz: one of the photos in this group is from MY wedding. Can you guess which one? Leave a comment below! Updated: Thanks to all of you who played along! Ciao! 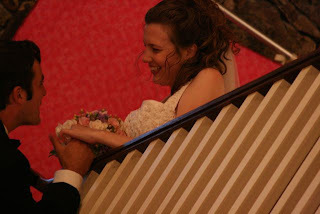 So sweet.. wedding! 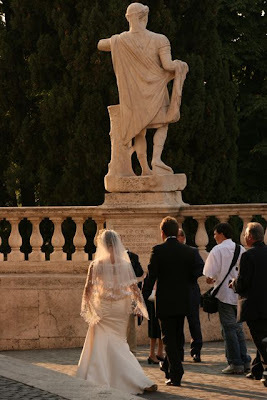 Weddings in Europe looks so different compared to how we do it in Jkt.. and for the better! .. haha I'm guessing photo #3 is you! Just a wild guess..
Awww! Very romantic! I couldn't help but smile! I guess your wedding photo is the second to last. I love weddings! How beautiful, I think the last shot is from your wedding! Love seeing all of the beautiful brides and unique settings....hope you will eventually share where they were all taken. My favorite is the bride-on-bike shot! I love that you've taken all of these photos. I have one of a couple in Vietnam on a motorbike - it's queued up in my Photo Friday drafts for the future but I think it's the only one I've ever taken. Nice documenting on your part! #6 or #8 would be my guess! Love the pictures! 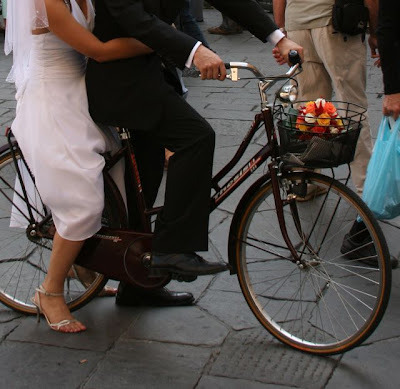 Bride-on-a-bike is my favorite shot, too! I'm guessing that the second to last is you. WHAT lovely photos. wow! you've got such talent. Hi Angela!! Love the pictures. 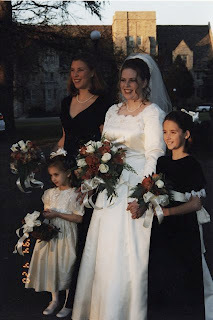 While scrolling through the photos, I see the bride with the kids and I thought, "Gee, that looks like Angela" so of course, my vote goes to that shot. This is a fantastic collection of wedding shots. 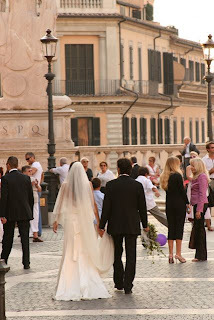 I think I spied one or two Italian weddings... and I think your wedding is photo number 6. Thanks for sharing! What a great post idea! I also like to snap bride pictures and today I took a bunch of quinceanera photos in a park near Phoenix. I'm going to guess 7. I think it looks like you maybe? Wow! Jennifer, CarolynT and Monna all guessed correctly! My photo is #6. 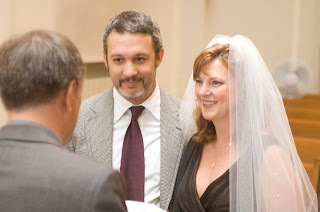 We were married 10 years ago in Faribault, Minnesota on the grounds of the boarding school where I was teaching at the time. Thanks to all for stopping by! Ciao! What a fun theme for photo Friday! 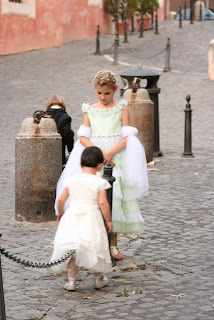 A delight to scroll through the photos - I chuckled at the flower girls in Rome. I love the picture of the bride on the bike. What a fantastic picture!